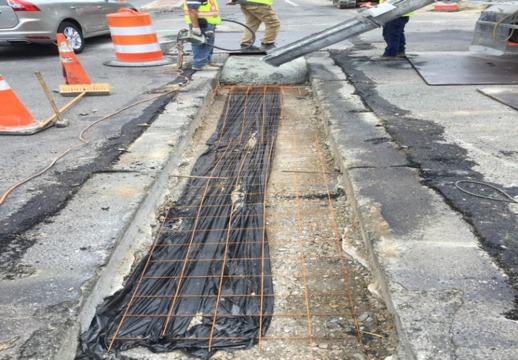 Capitol Paving of DC (the contractor) continued the work along the eastbound side of Kennedy Street NW; they also started the work on the westbound and eastbound along Kennedy Street between Georgia Ave NW and North Capitol Street NW. 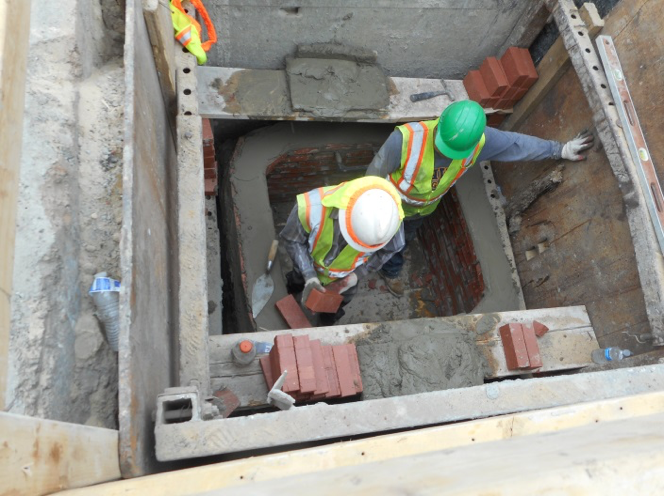 The contractor adjusted 17 manholes frames and covers, poured about 10 cubic feet of PCC driveway-Alley entrance, 2 cubic feet of PCC steps and 3 cubic feet of PCC coping. 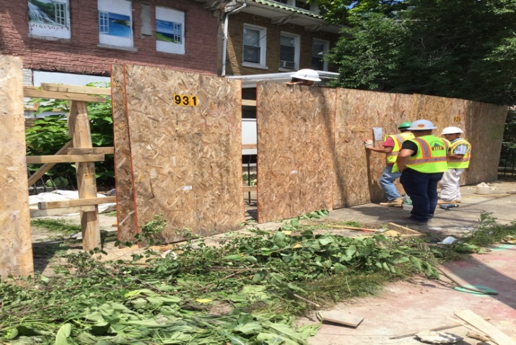 They also installed 20 linear feet of chain-link fence and relocated 58 linear feet of ornamental fence. 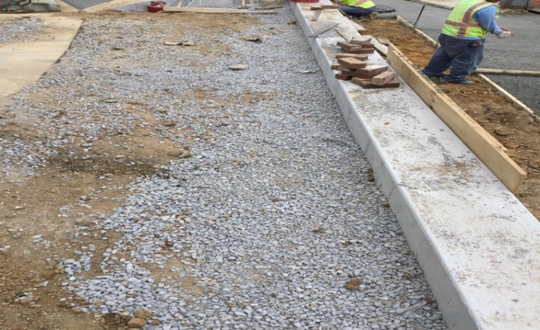 Besides, they installed 36 SY of PCC concrete sidewalk, 36 square yards of brick sidewalk, 4 LF of straight granite curb, 54 LF of circular granite curb and 72 linear foot of brick gutter. 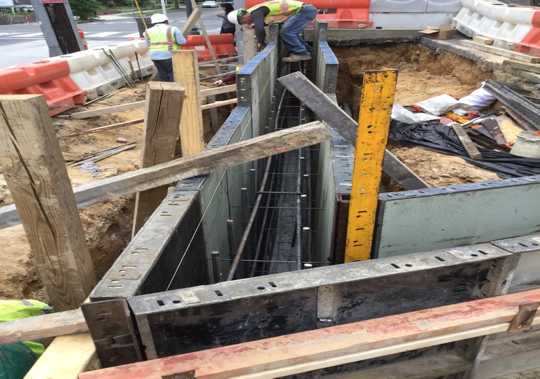 Jaxson Point (Capitol Paving’s sub-contractor) performed the electrical work by installing 39 linear feet of 2-4” electrical conduit and 3 BC transformer base 15”. 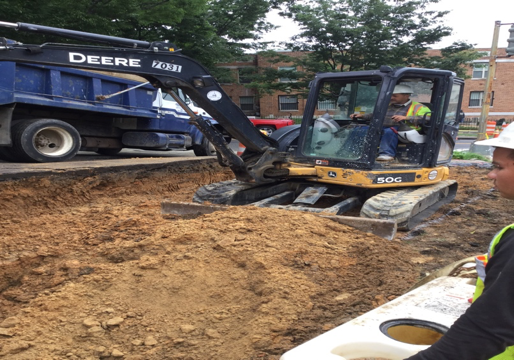 Sub-contractor placing PVC pipe for conduits from M9 to PEPCO manhole. Capitol Paving of DC (the contractor) continued the work along the eastbound side of Kennedy Street NW; they also started the work on the westbound and eastbound along Kennedy Street between Georgia Ave NW and North Capitol Street NW. 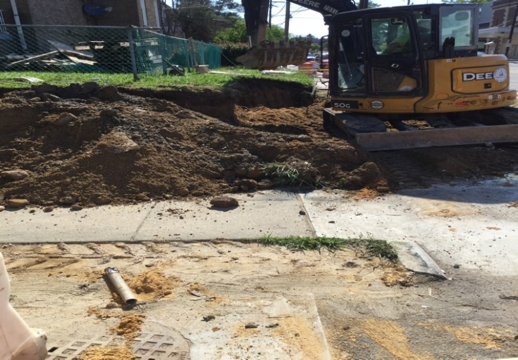 The contractor Furnished and installed four (4) standard double catch basins, 23 linear feet of basin connector pipe, 145 linear foot of underdrain 6” water pipe and abandoned 1 existing basin. 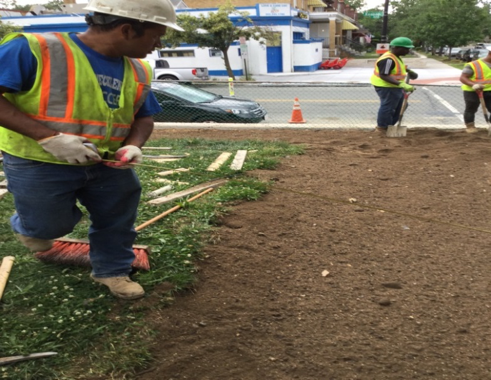 They also installed 113 SY of brick sidewalk, 5 LF of straight granite curb and 9 LF of circular granite curb. 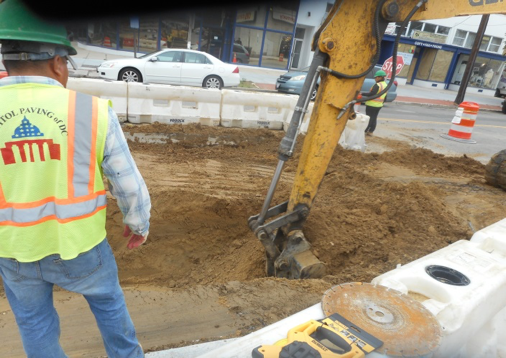 Besides, Capitol paving poured 63 cubic yard concrete for the retaining walls at Illinois Ave and 4th street intersections. 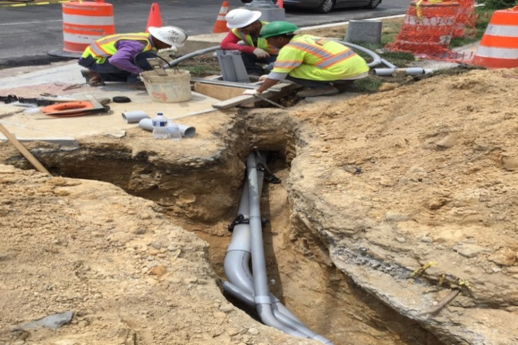 Jaxson Point (Capitol Paving’s sub-contractor) performed the electrical work by installing 24 linear feet of 4-4” electrical conduit, 97 linear feet of 6-4” electrical conduit and 5 linear feet of 2-4” inch PVC conduit. 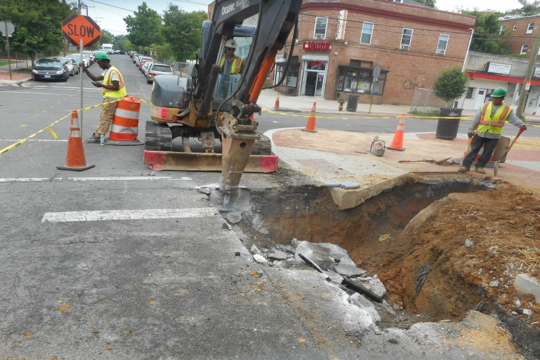 Also, JP installed 2 PPC foundation for the traffic signal pole. Capitol Paving of DC (the contractor) continued the work along the eastbound side of Kennedy Street NW; they also started the work on the westbound and eastbound along Kennedy Street between Georgia Ave NW and North Capitol Street NW. 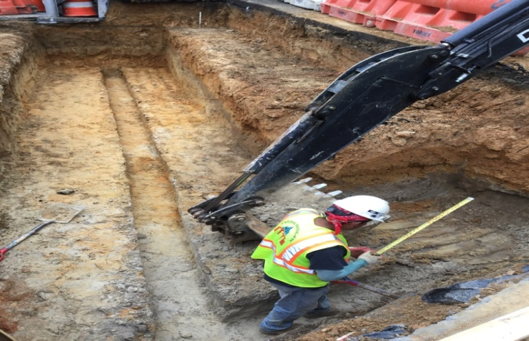 The contractor started work for the retaining walls at Kennedy St NW and Illinois Ave and 4th Street intersections. 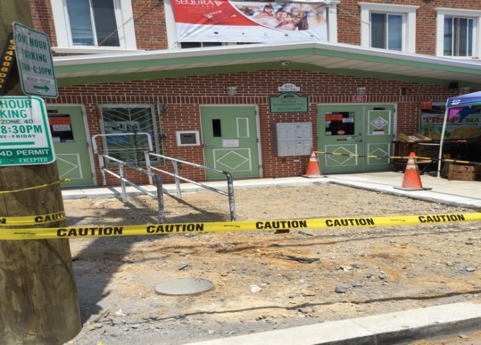 They installed 2 SY of brick sidewalk, 91 LF of straight granite curb, 27 LF of circular granite curb. 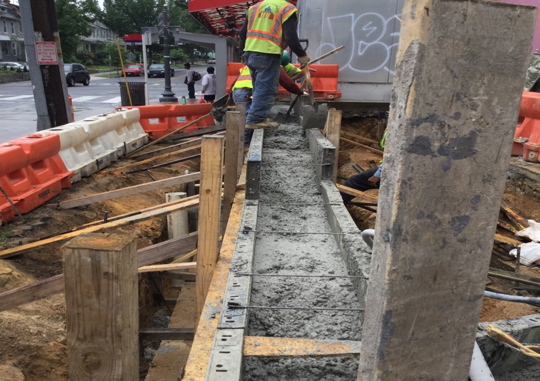 In addition, the contractor poured concrete for two wheelchair ramps at Missouri Ave NW and Kansas Ave NW intersection and for the bioretention seat wall at 100 block. 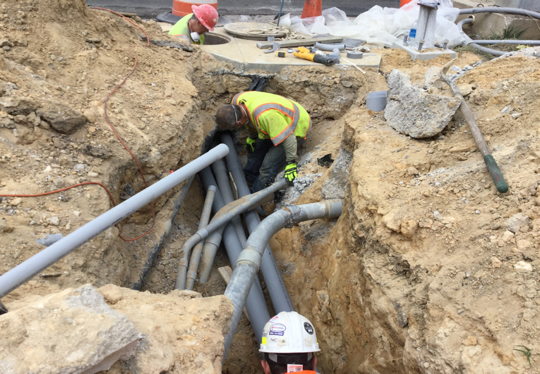 Jaxson Point (Capitol Paving’s sub-contractor) performed the electrical work by installing 19 linear feet for the traffic signal conduits and 82 linear feet for the street light conduit.